What are the chances?! This exclamation greets the scarcely believable coincidence - you're picked up by the same taxi driver several years and thousands of miles apart or, in a second-hand bookshop far from home, you find your own childhood copy of Winnie-the-Pooh on the shelf. But the unlikely is more probable than you think. Against every fibre of common sense, the fact is that it's quite likely that some squirrel, somewhere, will be struck by lightning as it crosses the road. The chaos and unpredictability of our lives is an illusion. There is a rational order to the universe, and it's called mathematics. 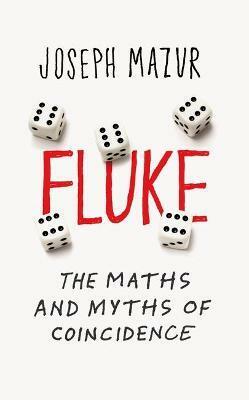 Fluke is a fascinating investigation into the true nature of chance, a must-read for maths enthusiasts and avid storytellers alike, it tears down the veil of improbability to reveal the wonderfully possible.